Decided I shouldn't complain about no one sharing photos any more unless I shared some. 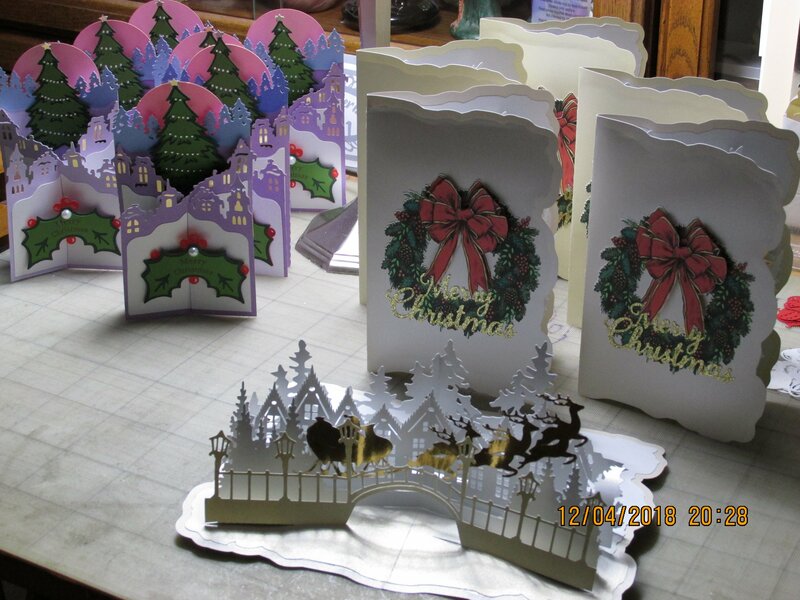 Here are this year's Christmas cards: cascade card was purchased from Dreaming Tree and gold Santa with reindeer purchased from mysvghut. I modified the last one some by bringing all the V folds forward, then adding another row of trees behind them all. 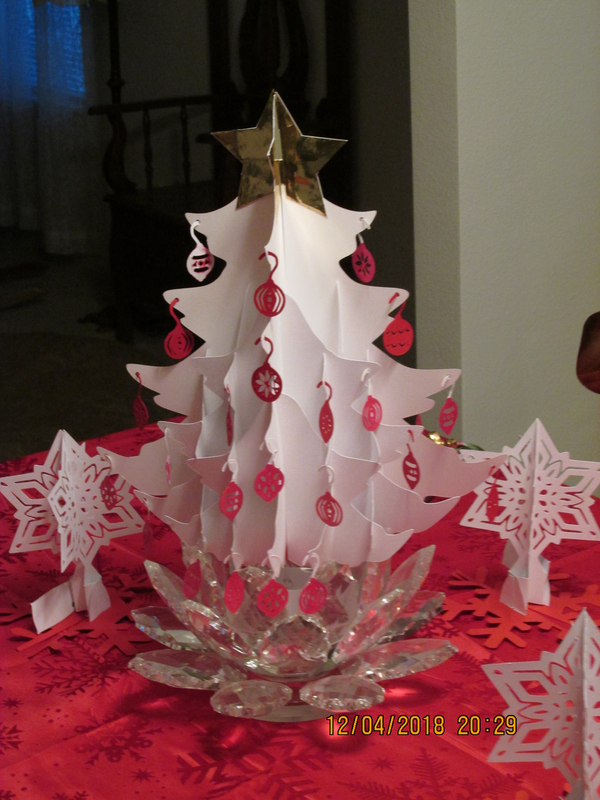 The sliceform tree was made for my husband who loves RED for Christmas; ornaments made from Lovepop idea. Wow! Amazing work! Those are beautiful! Love them all....but really, really, love the sliceform tree. Wow - these are great. What an awesome job. Congratulations - I am just impressed - brilliant. Oh....thank you so much for the file. I don't know if I can get it done this year but will put it in my Christmas file....sooooo pretty. The purple cards are amazing! Just Beautiful!!! Love it. You did a great job. Those are amazing! My favorite is the sleigh. I keep seeing Lovepop's ad on Facebook and have thought about buying a couple to figure out how to make them. I will go to the gallery and see how you did yours. Thanks for the file. That's really a masterpiece. I appreciate your skills.